This Chakra bracelet by Daisy is a perfect combination of spirituality and sophistication. 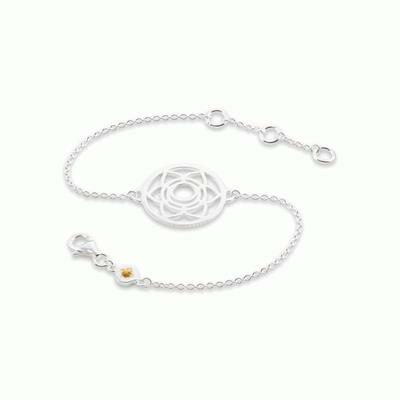 Made from Sterling Silver, this bracelet features an intricate filigree chakra charm on a 16cm adjustable chain with a Citrine accent. In yogic traditions, chakras are the physical manifestation of spiritual energies. Well-balanced chakras ensure a healthy and happy life. This bracelet features the Solar Plexus Chakra, which is connected to personal power and motivation.